We are getting closer to the middle of winter and it’s becoming increasingly hard to drag ourselves out of bed in the dark mornings. As winter goes on, we slow down and have less physical activities. We indulge ourselves in sugary and carbohydrate rich foods; most of the time, we just want to stay in bed and enjoy the warmth instead of being outdoors exposed to sunlight, or cleaning the house. 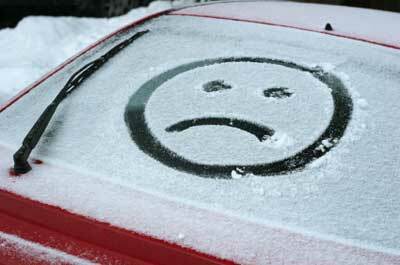 This is when ‘winter fatigue’ starts! We are told that there are ways to charge our energy and get us through the ‘winter mess’: to keep exercising, have a healthy diet, have a healthy home environment. But it’s all a ‘chicken-and-egg’ thing – the more fatigued we are, the less energy to keep us up to the ‘right’ things! Sure you’ll agree. But if there is a point that we may turn the entire negative circle into a positive one, will you want to have a try? The solution is simple: give your body the support it needs, from USANA products such as CoQuinone and Rev3 Energy Pack. They are a great combination for boosting your energy levels without the crash and burn effect. CoQ10 plays a critical role in energy production in the cells. How? The energy that every cell needs to function is produced through a complex process in the mitochondria, an organelle within the cell, often called the cellular powerhouse. Cells store energy in a molecule called adenosine-5-triphosphate, or ATP. CoQ10 is an essential part of the electron transport chain used to make ATP. And the good news is an independent US based laboratory, Comsumerlab.com found USANA's CoQuinone contains its labelled amount of CoQ10. If you are looking for a product that delivers the exact amount of CoQ10 to your body, then USANA CoQuinone is the right choice. Unlike many energy drinks, USANA Rev3 Energy contains natural herbs, such as Korean ginseng and rhodiola rosea and has no artificial flavours and sweeteners. It gives you the energy boost without the crash-and-burn. Check out websites and social media sites dedicated to Rev3. Rev3 Facebook page – an awesome community to interact with other Rev3 lovers! Rev3 Twitter – to get first-hand messages from the Rev3 gurus. 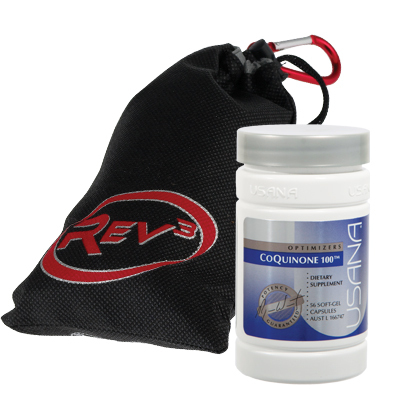 With the great partnership of Rev3 and CoQuinone to make you feel the best you can possibly feel, what more could you ask for this winter!